This is not an ALC event. If interested, Register Here. Not Going to "Capitol Hill"? Michael Hahn is an internationally known expert on culture, leadership and teams, and author of Hero Habits: The Guide to Thriving in Corporate America and in Life. Hahn is an in-demand speaker for conferences and companies around the country. He was an MPI Proprietary Content Speaker from 2012-2013 and spoke at 18 locations around North America. His strategic use of culture to achieve business results and engaging employees to create a grassroots movement has created a massive impact at Allstate insurance and several Chicago based high growth organizations. Michael has developed the Culture Change Handbook and ACES model. His articles have been featured in Inc. Magazine, Chicago Business Journal, StartUp Magazine, Chicago Business Journal and Chicago Tribune. In 2015, he won the Public Relations Society of American Award for Brand Management and Reputation for his work with Allstate Insurance. He specializes in executive coaching, leadership team alignment and culture transformation consulting. Michael is Internationally certified and holds a dual M.B.A. in Entrepreneurship & Leadership and Change Management from DePaul University and a Bachelor of Science degree in Finance from NIU. He has 20+ years of corporate experience in Finance, Strategy, Business Development, HR and Corporate Relations. From his first decade with McDonalds in Finance to the last few years leading a Culture Movement at Allstate Insurance, he knows what success looks like from every seat in the house! Michael Hahn is the CEO & Culture Guru of Beyond Good Teams and author of Hero Habits: The Guide to Thriving in Corporate America and in Life. Dr. Rivers is the Executive Director of JNCL-NCIS and an active activist for language support and access. Dr. Rivers has 25 years of experience in culture and language for economic development and national security, with expertise in research, assessment, program evaluation, and policy development and advocacy. He is the founding and immediate pat chair of ASTM Technical Committee F43, Language Services and Products and the U.S. Technical Advisory Group to ISO Technical Committee 232, Education. Before joining JNCL-NCLIS, he served as Chief Scientist at Integrated Training Solutions, Inc., a small business in Arlington, Virginia, where he focused on strategic planning, management, and advanced technologies for language and culture programs in the public sector. While at ITS, he served in a contractor role as the Chief Linguist of the National Language Service Corps. Prior to working at ITS, he was a founding member of the Center for Advanced Study of Language (CASL) at the University of Maryland, and was a staff member of the National Foreign Language Center from 1994 to 2003. During his career, Dr. Rivers has also taught Russian at the University of Maryland, worked as a freelance interpreter and translator, and conducted field work in Kazakhstan, where he regularly returns to teach at several universities. He received his Ph.D. in Russian from Bryn Mawr College and his MA, BA, and BS from the University of Maryland. He speaks Russian and French. Scott Mirsky is a Principal in the firm’s Employment Law and Litigation practice groups. He focuses his practice on advising and litigating construction, business, and employment disputes. He has experience in handling non-compete and trade secret disagreements, employment claims, issues concerning independent contractors, intellectual property infringement cases, complex construction issues, wage and overtime disputes, and breach of contract claims. Scott has over 20 years of experience representing individuals and businesses in diverse civil matters throughout the Washington, DC region. Scott also represents numerous language services companies in issues arising out of the independent contractor relationship. Bob Donaldson has over 25 years of experience in the creative application of technology and innovative processes to streamline operations and deliver business value. 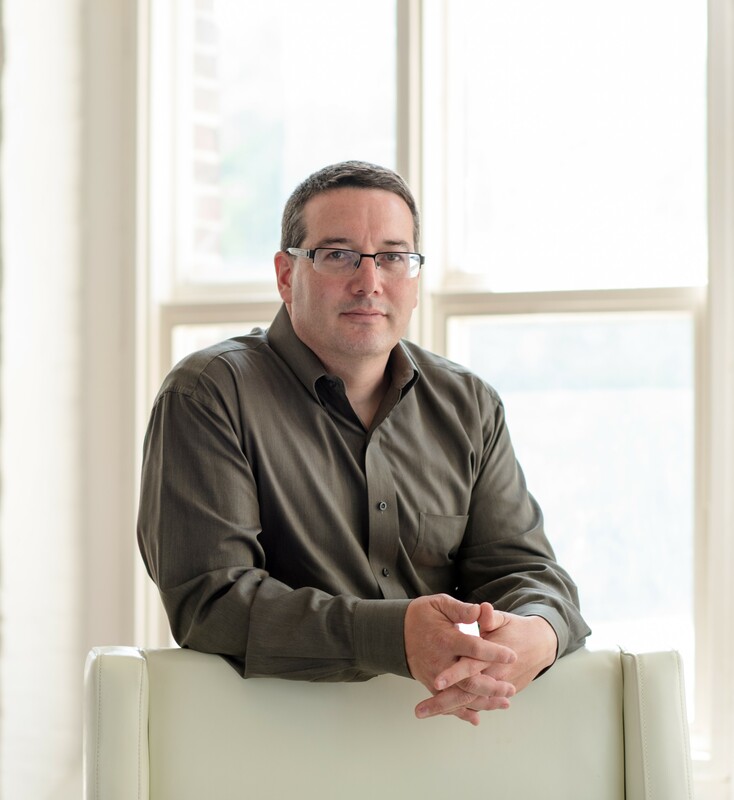 As Founder and Principal at Carson Strategy Group, Mr. Donaldson has defined and implemented strategic technology solutions for companies in a variety of industries. His specialties include language technologies, globalisation readiness assessment, and both project and organisational turn-around efforts. While at McElroy Translation, Mr. Donaldson defined and implemented a technology roadmap that led to substantial operational efficiencies and also opened up new market opportunities based on machine translation and managed crowdsourcing. He also led McElroy’s “Glocal” initiative, establishing a global network of partnerships to expand capacity. Mr. Donaldson is a recognised industry leader in language technology integration and a frequent speaker at industry conferences. Happily married with two grown children, Mr. Donaldson is a long-distance runner and avid reader (mostly history). He also speaks several languages and travels extensively, bringing a global perspective to his consulting and problem-solving activities. Ted R. Wozniak, CT, MITI, is a specialist in German to English financial translation, in particular in accounting and taxation. He is a member of the ATA, ITI and BDÜ. He holds bachelor's degrees in accounting and German and is a graduate of the German Basic Course at the Defense Language Institute. Before becoming a freelance translator, he was an accountant, stockbroker, Army liaison officer in Germany, and an interrogation instructor at the U.S. Army Intelligence School. After pursuing graduate studies in Germanics, he became a freelance German > English translator, specializing in finance, accounting and taxation. He is also the president of Payment Practices, Inc., an online database of translation-company payment practices, a former mentor at the Graham School, University of Chicago German to English financial translation program, a former instructor in the New York University German to English financial translation course, is the current President-elect of the American Translators Association, and owner/moderator of Finanztrans, a mailing list for German financial translators. He resides in New Orleans, LA. Dr. Amanda Curry is Manager of the Research and Test Development Program in the Language Testing and Assessment Unit of the Federal Bureau of Investigation, and previously served as a Spanish Language Analyst and National Program Manager for the Asian Languages. She is currently Chair of the ASTM Translation Subcommittee and co-chairs the Interagency Language Roundtable (ILR) Translation and Interpretation Committee. She has presented on translation issues at various government and professional conferences, including the American Translators Association. She holds a Ph.D. in Romance Languages from Georgetown University. Dr. Maria Brau retired in 2017 as Unit Chief of the Language Testing and Assessment Unit (Directorate of Intelligence, Federal Bureau of Investigation). She served as member of the Intelligence Community Testing and Assessment Group, the ASTM F43 Executive Committee and Administrator of the ATA Government Division. As co-chair of the Interagency Language Roundtable (ILR) Translation and Interpretation Committee, she presided over the development of the ILR SLDs for Translation, Interpretation, and Audio Translation. She has presented papers on translation testing issues at various conferences, such as the International Association of Applied Linguistics (AILA), and the International Language Testing Association (ILTA). Anne-Marie Colliander Lind is a recognized force in the global language industry landscape. She has spent almost 30 years helping multinational organizations solve their language issues, serving in executive sales and management positions at leading service, technology, and market research companies. Currently, Anne-Marie is the CEO of Inkrease, a management consulting company based in Sweden that assists companies in their growth and development strategies. She is a thought after speaker and part-time engaged as Marketing Director at LocWorld. Anne-Marie is also the co-founder and organizer of the Nordic Translation Industry Forum (NTIF) which is being held for the 9th time in Gothenburg, Sweden, on 24-26 November 2018. In his 15 years in the translation industry, Josef Kubowsky has met and worked with hundreds of language service providers globally. Each year he attends dozens of professional conferences and observes what companies around the world do to grow their business. After receiving a degree in International Relations, Josef worked his way up from Sales Manager, Branch Manager and BDM to Head of Sales in a regional translation company, an international MLV and, finally, in Memsource — the developer of the leading cloud translation environment tool Memsource — where he managed a worldwide sales team of 27. He now focuses on his specialty at Memsource as Chief Evangelist. Andrzej Nedoma is the Co-founder and CEO of XTRF Management Systems, an online translation management platform for translation companies, corporate language departments and public organizations. His company helped hundreds of translation and localization agencies in 30 countries to leverage their potential. Andrzej has been building his translation industry expertise since 1996 to later become Managing Director of a leading Central European translation company LIDO-LANG Technical Translations which was eventually sold to Sepro Group from Spain. Andrzej was awarded the Polish Entrepreneur of the Year in the category “Services”. Apart from work, Andrzej is also an engaged triathlete, competing in IronMan triathlon races – this year on Half-IronMan distance and preparing for full-IronMan distance in near future. Lexie Casey is President and CEO of ICA Language Services, a Washington, DC-based language services provider and federal government contractor. Lexie leads a team of 250 professionals that provide foreign language instruction, testing and test development, curriculum development, and translation and interpreting services across six multi-million dollar contracts with the Federal Government. She brings 20 years of experience in federal, state and local government business development and capture, bid and proposals writing, and contract management. In 2009, Lexie joined ICA after previously serving as Federal Services Marketing Manager for HNTB Corporation, a nationwide infrastructure solutions firm. Lexie’s experience in sales and marketing increased ICA’s sales by 38% within the first year and opened up opportunities in new markets. She was instrumental in securing ICA’s first contract directly with the Federal Government for language performance testing. ICA has subsequently been awarded three more performance test contracts directly with the government and many others for government contractors. Lexie has a bachelor’s degree in English Education from the University of Delaware. Joumana Sleiman currently works as a Division Manager and overseas all the Department of Defense and Department of Justice contracts at Acclaim Technical Services (ATS). ATS is a defense contractor that recruits, vets and employs hundreds of translators and interpreters in several languages for the US Government. Joumana is a seasoned translator and manager of translation projects. She graduated from Université Saint Joseph in Lebanon with a Master of Arts in Translation and Terminology and is proficient in the Arabic and French languages. She is also a certified Project Management Professional (PMP). She has over 15 years of experience in translation and interpretation and over 12 years of experience in managing language related projects. She worked as a translator and interpreter with large organizations such as the United Nations High Commissioner for Refugees and the US Army Recruiting Command before she moved to management roles with ATS. Karim Hanna is serving as Director of the National Virtual Translation Center (NVTC). Prior to this post, Mr. Hanna served as Deputy Director of NVTC starting in 2016. In that role, he managed the Center’s operations and support. Mr. Hanna entered on duty with the FBI in 2003 as an Arabic linguist in Boston while completing his master’s degree at the Massachusetts Institute of Technology. He then relocated to the Washington, D.C. area and in 2006 became the program manager responsible for the FBI’s Middle Eastern languages. In 2011, Karim accepted a position as the Unit Chief of the Translation & Deployment Unit‐I. In that role, Mr. Hanna managed all linguist resources of Middle Eastern, French, and African languages for the FBI. He served in this capacity until joining NVTC. Master was born Deaf to hearing parents and she has a Deaf brother. Together the family used sign language as she was growing up. Since 2004, she has taught ASL and Interpreting courses at various universities and colleges and provided numerous workshops at the regional and national level. As a Certified Deaf Interpreter (CDI) since 2007, her specialty is DeafBlind interpreting and Pro-Tactile communication. Currently, Ms. Brooks is the Founding CEO of TRUE-BIZ ASL, an innovative business that provides online interpreter education and sign language interpreting services nationwide. She also works for Gallaudet University’s The ASLPI as an interviewer and rater for the ASL proficiency Interviews. Ms. Brooks and her partner are living the Salt Life in Palm Harbor, Florida where they are raising three young boys. Tom Alwood has over twenty years experience working in multilingual communications, both in translation operations and technology management roles. His focus is on the application of technology to optimize the efficiency of localization production. He has served as the technology lead for the translation departments of Bowne, RR Donnelley and Merrill Communications as well as independent LSPs. Currently he consults with LSPs and Buyers on technology adoption and production automation. His areas of specialization include technology development, implementation, and integration for business management systems, workflow tools, CAT and Machine Translation tools and interactive client solutions. Tom serves as a US representative of the Translation Automation Users Society (TAUS), an industry think tank dedicated to promoting translation technologies. In addition, he teaches Localization courses at New York University and the University of Maryland. A specialist market researcher in the localization since 2012, Konstantin is the person with figures and measures for the industry. He can provide a neutral and informed outlook at the trends in business and technology and go beyond the hype. A linguist by education and a business journalist at heart, he worked as a strategist in a language technology company, and he helped create two national translation and interpreting conferences. Working with LSP associations, he delivered reports on regional markets in the UK, France, Finland, Portugal, the Baltics and now in the US. Konstantin works as the Chief researcher in Nimdzi Insights, the leading consulting company for the language industry. 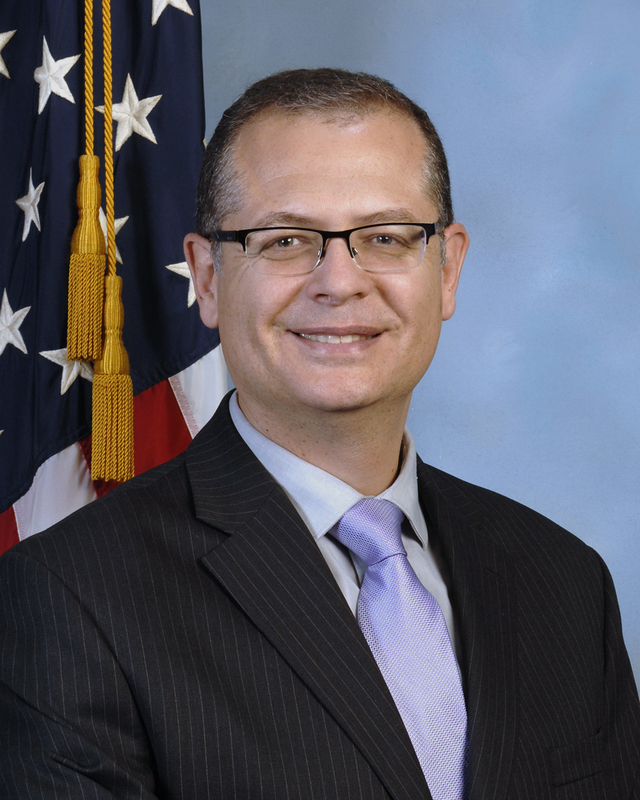 Joseph Mazza, a 1984 graduate of the George Washington University (BA, International Affairs), joined the State Department’s Office of Language Services (LS) in 1989 as a translator of Romance languages into English, following five years as a translator of Russian and Romance languages for the Navy. In 2003, he was named Chief of LS’s Romance Branch; in 2006 he became Chief of LS’s Translating Division, with responsibility for most State Department translations. In both capacities, he helped to develop both the ASTM Standard Guide for Quality Assurance in Translation and the ILR Skill Level Descriptions for Translation Performance. In 2015, he began teaching Spanish/English translation at the University of Maryland’s Graduate Studies in Interpretation and Translation (GSIT) program. Mr. Mazza was elected to a 2-year term as Administrator of the Government Division of the American Translators Association (ATA) in 2016, and reelected in 2018. Eliot is an attorney, speaker, strategist and author. Recognized as one of the nation's elite small business attorneys, Eliot frequently speaks to owners of small to mid-sized businesses on topics ranging from legal concerns, such as contracts and HR, to decidedly unlawyerlike subjects such as the strategic use of empathy and compassion in business. Eliot is the founder of Wagonheim Law, an entrepreneurial law firm based in Maryland and serves as counsel to some of the most celebrated and successful organizations in the region and the country. He has been selected as a Super Lawyer, was named one of SmartCEO Magazine’s Legal Elite as a “go-to” business lawyer and was chosen as the 2016 Center of Influence award winner. As a lawyer who actually helps put money IN peoples' pockets, Eliot is a bigger oxymoron than "jumbo shrimp." Among Eliot's many ambitions is the ardent desire to the best and easiest speaker you ever worked with. H. Randall Morgan, Jr., is CEO of Morgan Language Services Corp. (www.morganlanguages.com), a comprehensive language solutions provider based near Washington, DC. Having provided written, spoken and electronic services in over 120 languages for the past 30 years, Randy has added “role playing” for U.S. Special Forces as a major focus for his company’s activities over the past 7 years. He and his team of 300 Afghan-American employees spend up to 4 weeks at a time living “in character” in mock Afghan villages in the southwestern U.S. to support pre-deployment training for the U.S. military. Morgan’s role players are widely recognized for providing the most authentic Afghan, African and Arabic-speaking environments available for training in the U.S and enable our troops to acclimate to the cultures and issues they will likely encounter when they are deployed. The core services of the firm, however, continue to be translation and interpretation, including under a 5-year contract with the Maryland Judiciary, producing translations of the state’s court forms and brochures in 8 languages. Prior to establishing his current firm, Morgan co-founded ASET International Services Corporation, in 1989, to provide project coordination, translation and interpretation support for corporate and government programs and events, such as the Nuclear Non-Proliferation Center for Verification Research, Swiss Banks Holocaust Litigation, and NATO Defense Summit. As ASET’s Chairman/CEO for over 17 years, Morgan grew the company to 100 employees and $10 million in revenue annually. Morgan simultaneously managed ASET’s Moscow office from 1989 to 1995 and reluctantly boasts to be one of Aeroflot’s first frequent flier members. An international executive coach and public speaker, time permitting, Randy presents seminars and works one-on-one to help companies and individual leaders augment their skills in Quality-First management, HR development, strategic planning, sales and government contracting. Through Young Entrepreneurs Organization and Vistage, for several years, he also served as forum Moderator and presenter for member-based CEO forums. Morgan speaks Russian, French, Spanish and some Hebrew, and he is learning Dari and Pashto from his role player personnel. As former Vice President of The Association of Language Companies (www.alcus.org), Randy created the Association’s acclaimed Industry Survey, which is now in its 15th year of publication. Since 2017, Randy serves as Chair of the Maryland-Israel Sister State Committee (http://www.marylandsisterstates.org/israel), for which he is currently spearheading a program for cooperation in water resource management and technology, as well as the establishment of a non-stop flight from the Baltimore-Washington area to Tel Aviv. Since 2000, he has also been serving as Vice President and Board Member for the Association for Safe International Road Travel (www.asirt.org). Known simply as “H” in Dartmouth College circles, Morgan is a past president of the Dartmouth Alumni Class Officers Association. He was honored twice with the Alumni Class President of the Year Award, in 2009 and 2012. Morgan also led his class to receive the Alumni Class of the Year Award in 2012. Randy Morgan lives in Potomac, Maryland, with his wife, Lynn, and children, Natalie (19), Daniel (17) and Kate (13), for whom he loves to play guitar and create gourmet milk shakes. Dennis Ayzin joined the language industry in 2001, previously working in marketing and technology sectors. In 2007, Mr. Ayzin became the president and CEO of TranslationPerfect.com, a Kansas City based LSC, rebuilding company as a premier service provider in the area. In 2011 Mr. Ayzin founded ScheduleInterpreter.com, Inc. an interpreting management platform provider for LSC, healthcare and courts. Company offers enterprise-level solutions and business consulting. In 2018, Mr. Ayzin begins work on automated recruitment solution CrowdForce.me and integrated remote service platform JustOPI.com. Currently Dennis is involved in research on utilization of advanced machine learning in enterprise labor management. Dennis is fluent in English and Russian. Dwayne is an experienced sales professional. In 2015, he got a bachelor’s degree in Business Science in Johnson and Wales University. Dwayne held leading sales positions in Magento, LeveragePoint Innovations Inc., and several other SaaS companies throughout the last few years. Last November Dwayne came to Smartcat as the new Vice President of Sales. Today, Dwayne motivates our sales personnel to drive growth and increase performance, while simultaneously building strong, long-lasting customer relationships. Chris has been obsessively studying languages and linguistics since he was 12 years old. After graduating from the College of William and Mary, studying both Linguistics and Theatre, he was a union Stage Manager for grand opera for several years. Returning to his passion, languages, Chris has been in the language services industry for over 15 years. He is the Managing Director at aLanguageBank, a New York City company that specializes in multilingual creative content, focusing on transcreation, copywriting, and media localization. He has also been on the ALC Board of Directors for six years and currently serves as the Immediate Past President. During and after college, he formally studied marketing, anthropology, psychology, sociology, psychometrics, UX, and gamification. And he still does research in linguistics. Chris has presented many times on the impact that new technologies could have on the language industry. And for a few years, he managed a blog looking at the convergence of new digital, biological, and engineering technologies and how these could alter humanity’s relationship with language and communication in the future. Gaëtan Chrétiennot is the founder and CEO of Six Continents, a French Boutique Language Company offering a luxury experience to both LSPs and corporate clients. Gaëtan’s early fascination with computers and love of languages naturally led him to study translation. Right after graduating, he formed his first language company in 1997. He leads a team of dynamic and experienced linguists, bringing creative solutions to all modern translation and localization challenges. He values human relationships and long-term collaborations. Gaëtan also acts as a process and technology consultant (CAT, TMS, MT) for translation companies and passes on his knowledge to Masters students at Strasbourg and Mulhouse Universities. He has been an active contributor to the translation industry and has been a regular face on the industry conference scene. As a compulsive traveler, he named his two sons after renowned sailors and enjoys working from any continent. Susan R. Amarino is President and owner of Liaison Multilingual Services, Inc. With more than two decades of international business and language services experience, Susan, through her company, provides translating, interpreting and desktop publishing for clients globally. Susan’s company, Liaison Multilingual is a certified vendor with U.S. Federal Government and is a certified member of WBENC, Women’s Business Enterprise, as a woman-owned business. Leading the ALC Standard Task Force Committee, Susan maintains a strong passion in working to create a high standard for language service companies. With many years experience in ASTM International, Susan offers sound advice and educated hypothesis for ASTM’s future endeavors. Susan is a native Coloradoan, born in Denver, CO. She graduated from Broomfield (CO) High School, and the University of New Mexico (UNM). After completing her education at UNM, Amarino joined Up with People, a philanthropic organization with the objectives of global understanding and peace. As a marketing professional, Susan introduced a worldwide cast of musical performers to international audiences throughout the USA, Europe, Japan, Canada and Australia. It was Up with People which attracted Amarino to various languages and cultures throughout the world. ALC attendees should make their hotel reservations directly with the Omni Shoreham Hotel. ALC does not work with a housing authority. If a company contacts you regarding housing, please be aware that they are not affiliated with ALC and that reservations made through these groups may put you at risk because their offers are often not as advertised. If you receive a phone call or email that you suspect may be from such a firm, please obtain the person’s contact information and notify ALC at info@alcus.org. If you call the Omni Shoreham Hotel to make reservations, please remember to mention the ALC Annual Conference to obtain the group rate. If you choose to book online, please book directly through the hotel’s website to ensure that your room is included in the ALC room block. Hotel reservations are on a first-come, first-served basis until Monday, April 8, 2019, or until the block has sold out. ALC cannot guarantee the group rate if rooms are still available in the ALC block after April 8, 2019. Ronald Reagan National Airport (DCA) is 8 miles (20 minutes) from the Omni Shoreham Hotel. Dulles International Airport (IAD) is 30 miles from the Omni Shoreham Hotel. Baltimore-Washington International Airport (BWI) is 45 miles from the Omni Shoreham Hotel. has partnered with ALC and is offering discounted airfare to all attendees. When booking on the United website, use Offer Code ZFSG703873. If you call United at (800) 426-1122, please remember to provide the Z Code ZFSG and Agreement Code 703873. Book your airport parking online or by phone 800-851-5863. $20-$25 each way from Ronald Reagan National Airport. $50-$65 each way from Dulles International Airport. $70-$75 each way from Baltimore-Washington International Airport. $22-$25 each way from Ronald Reagan National Airport. $53-$60 each way from Dulles International Airport. $75-$100 each way from Baltimore-Washington International Airport. The temperature in Washington, D.C., in early May averages in the mid 70s during the day and low 60s at night.